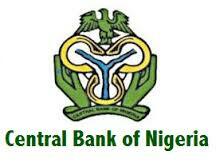 The Central Bank of Nigeria (CBN) today said that its hard work is responsible for the appreciation of the Naira. This statement is coming amidst claims that the Presidency made some moves that helped boost the strength of the currency. Acting Director, Corporate Communications of the CBN, Mr Isaac Okoroafor on Thursday in Sokoto said, ''What led to the appreciation of the Naira includes the following - The CBN has done its intelligence work on the market and we came to the realisation that much of what was driving the demand on the BDCs and parallel market was speculation. “We reasoned that since there is a lot pressure on the two segments from people seeking to buy foreign currencies for BTA, tuition and medical, that if we successfully address that, the pressure will come down. “Also, before now, the level of our reserves was not enough to make us comfortable to really do the kind of intervention that is required. We decided to do so now because we are a bit more comfortable with our level of reserve,” he said. Okoroafor said that since the new forex policy, the CBN had intervened with about 591 million dollars in the market which had led to Naira gaining strength.